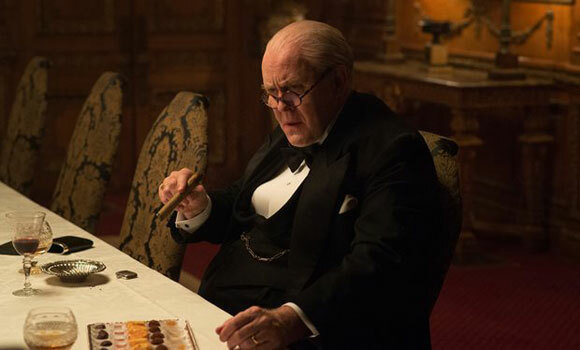 To celebrate the theatrical release of Churchill on June 16, the story behind the greatest Briton of all time, we’ve put together a Top 10 feature on other great Churchill appearances in film and television. Churchill, a uniquely intimate portrait of the man widely regarded as the Greatest Britain of all time, is released in UK cinemas June 16. 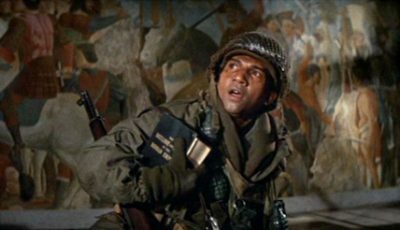 The film follows the iconic Prime Minister in the days before the D-Day landings. 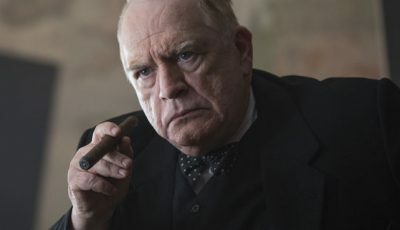 From acclaimed director Jonathan Teplitzky, Brian Cox leads the cast as Winston Churchill with Miranda Richardson as his beloved wife Clemmie. A brief moment for Gerry George’s Winston Churchill, which adds to the stiff-upper lip nature of Viceroy’s House having the iconic Brit as part of the narrative. 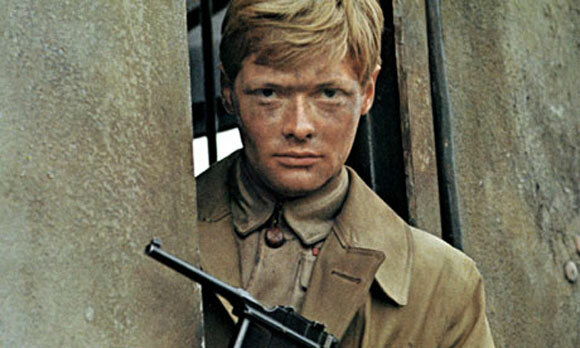 Richard Attenborough directs Simon Ward as a younger Churchill, looking at his childhood, time as a war correspondent in South Africa, and onto his Parliamentary election. Good for the Churchill completists, but by no means a classic. 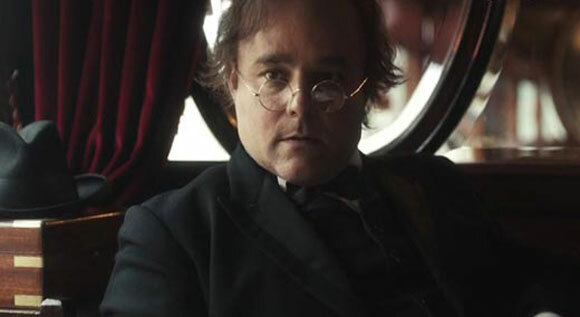 Another younger portrayal of Churchill, and not pivotal to the show’s plot, but an interesting addition to the crime series. 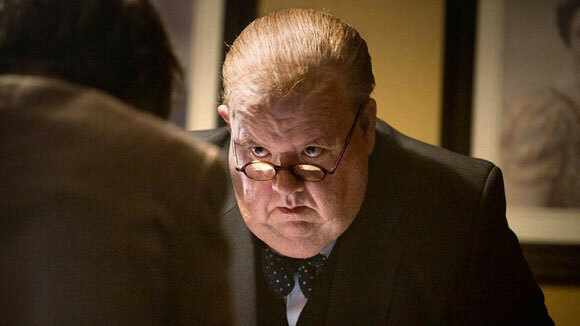 Ian McNeice’s imposing frame aided him in depicting the fiery persona of the PM. 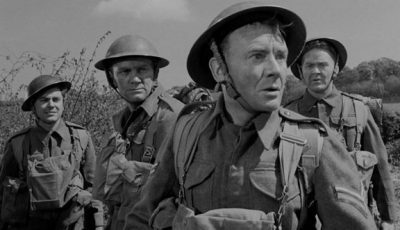 The character appears in four episodes, as the TARDIS travels to war-torn Britain in the middle of WW2. 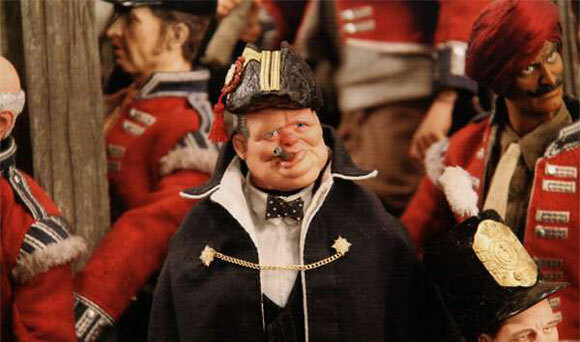 Having appeared on an episode of Spitting Image, a Churchill puppet gets a starring role in a feature film in Jackboots. It’s a satirical alternative history of WW2, where Churchill takes arms against the invading Nazis. Think Team America meets Inglourious Basterds. 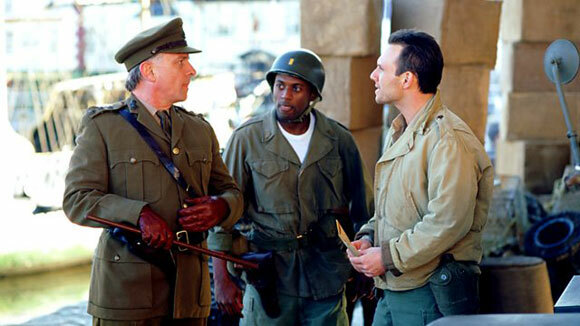 Another satirical take on Churchill, with Christian Slater as Winston Churchill (well, kind of – he’s impersonating him, but that isn’t the most ridiculous part of the film). The basic premise is: Hitler has moved into Buckingham Palace and plans to marry into the Windsors. 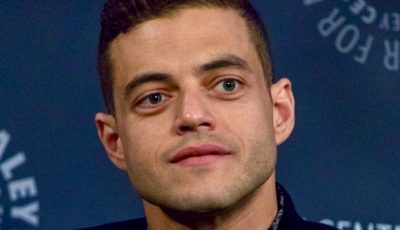 However, he didn’t count on Ray Bubbles, a cocky spy whose impersonation of his father, Winston Churchill, will help him defeat the evil Nazi. Miranda Richardson, of the new Churchill film, also stars, interestingly enough. 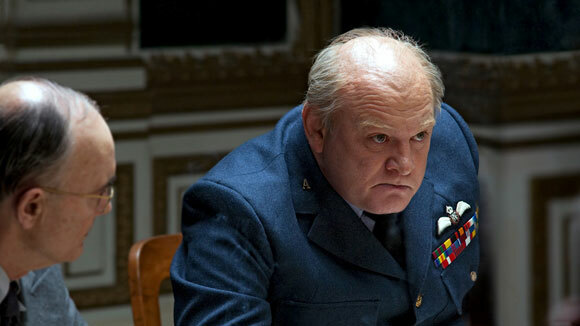 The jowly Albert Finney inhabits the role of Churchill for this more domestic look at the PM. With Vanessa Redgrave as Clementine Churchill, the film spotlights the marriage of the pair during a particularly troubling time in their lives. 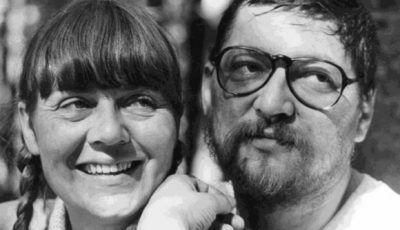 The miniseries won both Finney and Redgrave Golden Globes for their performances. Following on from The Gathering Storm’s story (although with Brendan Gleeson and Janet McTeer taking over the respective husband/wife roles), Into The Storm continues to look at the Churchill’s lives as WW2 comes to an end. 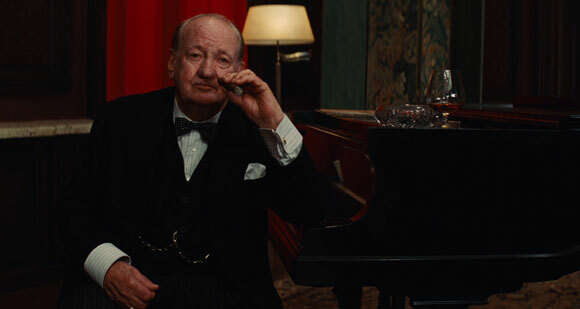 A snippet of a cameo, but a great scene that also saw Mike Myers return to a big blockbuster as General Ed Fench opposite Rod Taylor’s Churchill, and Michael Fassbender, to boot. The scene opens the Operation Kino chapter, and is so very very British. Churchill’s appearance helped make that moment brilliantly jingoistic. Still fresh in viewers’ minds, John Lithgow’s BAFTA and SAG-winning, and Golden Globe-nominated performance helped form a lot of the drama for Netflix’s stirring Royal drama. Churchill is out in UK cinemas on June 16. 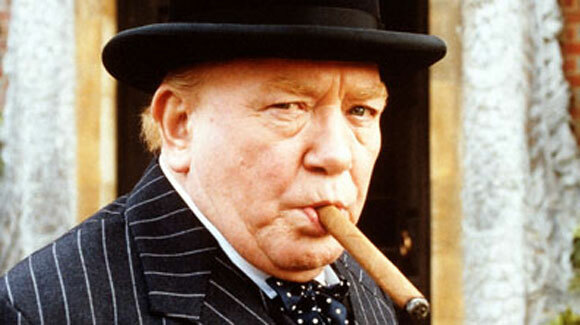 Over to you: what are your favourite Churchill appearances in film and TV? 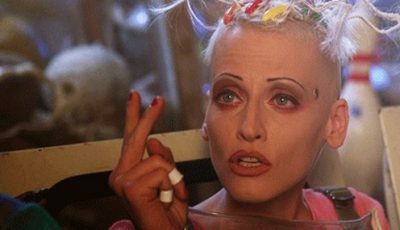 Piers McCarthy runs the website Diegesis Digest which he calls “another Ku-brick in the wall of film blogging”. From the high-brow history to the contemporary cavalcade in movies, and the eclectic episodes of the best TV around, Diegesis Digest is a site dedicated to any thought on film and television. I loved Churchill the Hollywood years.